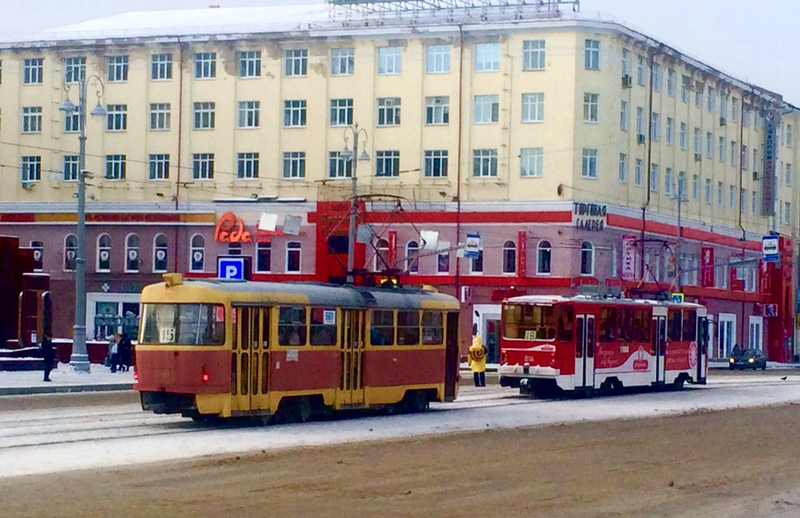 Trams ply the snowy streets of Yekaterinburg, Russian Federation. Photo by Jeffrey Soule. Over the course of six weeks at the end of 2018, the American Planning Association‘s international outreach collaborated with several global partners, including Saudi Arabia, Singapore, and the Russian Federation. APA has welcomed cooperation from the Saudis over the last several years in reviewing master plans. The Singapore Institute of Planners (SIP) is a member of the Commonwealth Association of Planners (CAP), which is a long-standing member of the Global Planners Network. 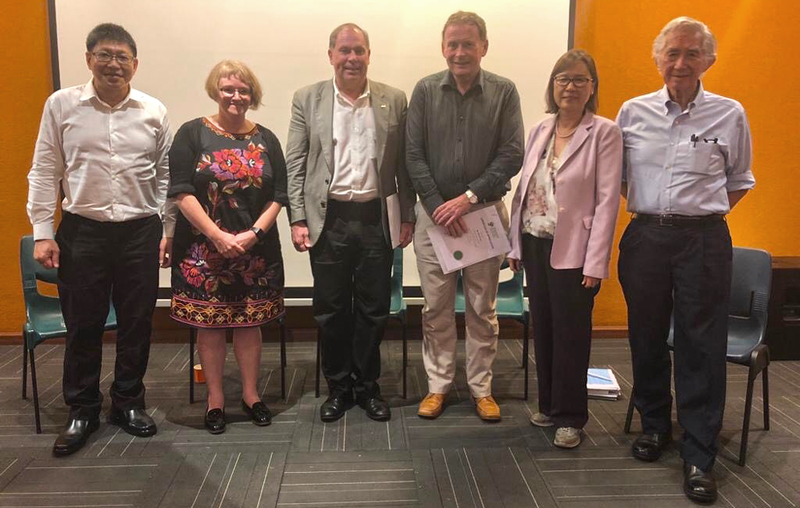 APA has supported the Singapore Institute of Planners by providing members and senior staff to participate in their annual Urban Planning Foundation Course, held over a three-day period each year. Topics include planning for sustainability and comparative planning from a global perspective. Following the training program, we also met with the board of SIP to discuss further collaboration. Following a meeting in APA’s Washington office earlier this year, the U.S. State Department received a request for follow up technical assistance and knowledge exchange in three Russian Federal cities: Perm, Yekaterinburg and Chelyabinsk, all in the South Ural region. State Department support for travel and arranging the meetings made the trip a successful opportunity to engage Russia for the first time. Yekaterinburg, Russian Federation. Photo by Jeffrey Soule. Over the past month and a half, APA has strengthened and expanded its international ties. Our colleagues in Saudi Arabia continue to seek support from us through a contract to review the Master Plan for Jazan New City. Jazan is in the far Southwest of Saudi Arabia, near the Yemen border. APA previously provided another such review for the New City plan for Yanbu in 2015. Saudi law requires an objective third party to review all master plans for advice before final approval. Some of the features of the partially completed plan include economic diversification, ecological protection, and eco-tourism in the offshore islands and underwater systems, and transportation infrastructure regional strategy. The Singapore Institute of Planners has reached out to APA for participants in their annual professional development training program. This program consists of three days of intensive courses on a variety of topics. Over the years, APA has provided talks by members and senior staff on sustainable planning and comparative analysis of different planning systems and practices. One of the interesting debates in Singapore now is how much industrial development should be provided in the plan versus letting the market decide and letting some industrial development move off to nearby Malaysia. Singapore: From left, Wilfred Loo, Dr. Roisin Willmott, Jeffrey Soule, John Acres, Evlyn Cheong, and Dr. Liu Thai Ker. Photo courtesy Evlyn Cheong. APA has been fortunate to cultivate the support of the U.S. State Department over the years. Most recently, following a very successful meeting with a high-level Russian delegation in April, a formal request from a few Russian cities for a follow-up visit was sent by Russia to our Embassy in Moscow. A series of speaking and meeting engagements as well as news media interviews and outreach were skillfully arranged by the Consulate located in Yekaterinburg, a city of over 1 million in the Southern Ural mountain region. 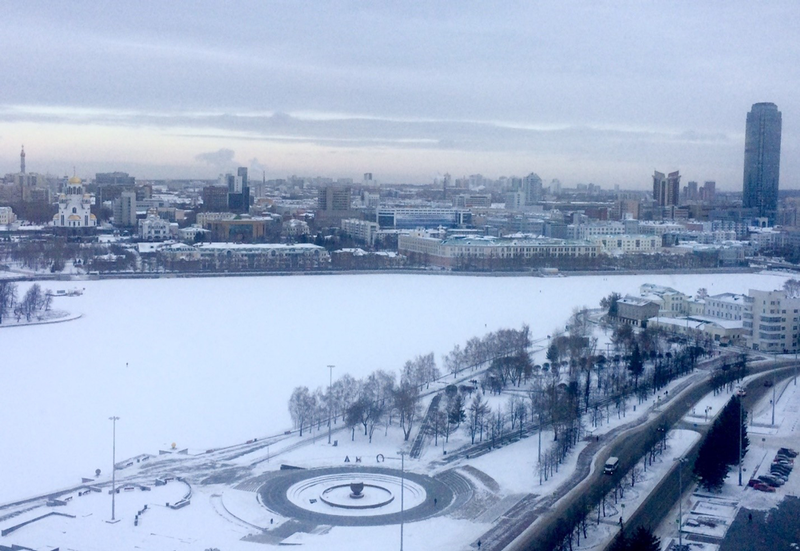 Each city — Perm, Yekaterinburg, and Chelyabinsk — presented its own unique qualities and challenges. Among the common issues in each were how to engage the communities and stakeholders in the planning process, regional economic linkages, environmental conservation and cleanup of industrial sites, and open space management and planning. The speaking engagements included several universities where students and faculty turned out in large numbers. Participation was excellent, with over an hour of Q and A each time. Questions on dealing with the automobile, historic and cultural conservation, pollution management and clean up and visual controls offered an opportunity to share American failures and successes on these and other topics. To summarize, planners around the world have much more in common than differences, and cities can benefit a great deal from sharing their stories of challenges, community engagement, and success. Please write to jsoule@planning.org for more information.